What’s a dangle you ask? Well check out our brand spankin’ new page titled Dangles to find out! 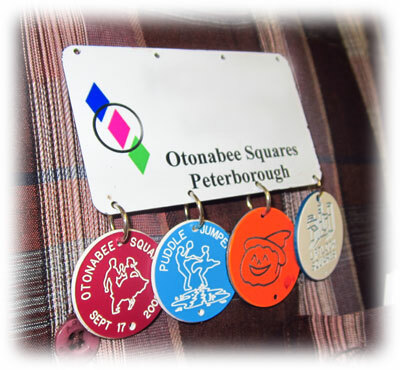 There are lots of them to earn and our page lists a few that are available from our club including the halloween, stagecoach, angel, road runner and perfect attendance dangles. Find out how to earn them and start collecting! Each Monday from 6:30pm – 9:00pm at Emmanuel United Church East (Formerly George Street United), located at George & McDonnel streets in Peterborough (enter through door facing McDonnel). Regular dance season runs from September to May. Our caller is Wayne Whatman. Click “Our Club” above to learn more. 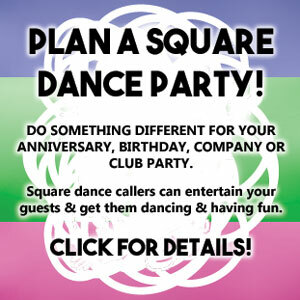 Plan a square dance party!